Just in case a bunch of friends wanted to come over to ours after the party, I laid in a couple of extra bottles. This was one. I’m certainly no expert on CdRs, but I am getting to like ‘em. This wine presented in the glass the colour of black purple, the sort of colour you might get in water used to rinse the brushes your daughter uses when she spends the whole afternoon painting watercolour pictures of flowers, bees, and My Little Ponies. 14%. Somewhat fleshy nose, savoury, reductive. And the picture was some random, somewhat ugly Japanese picture I found in an opshop for a few $. Office party Secret Santa ahoy! 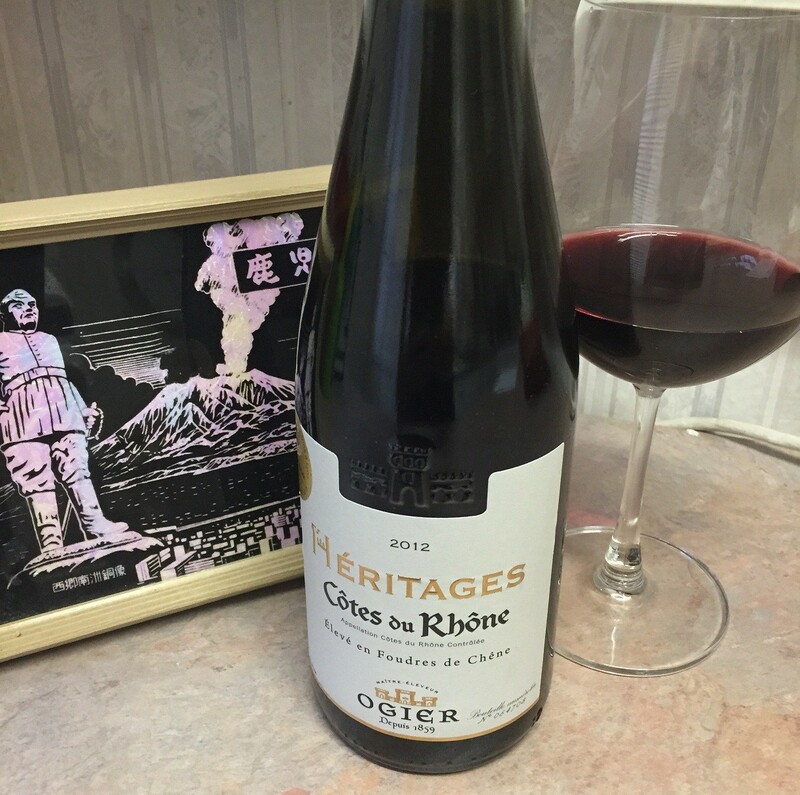 This entry was tagged $$, 14%, 2012, 3, Côtes du Rhone, Heritages, Off Topic, Ogier, Wine of France. Bookmark the permalink.